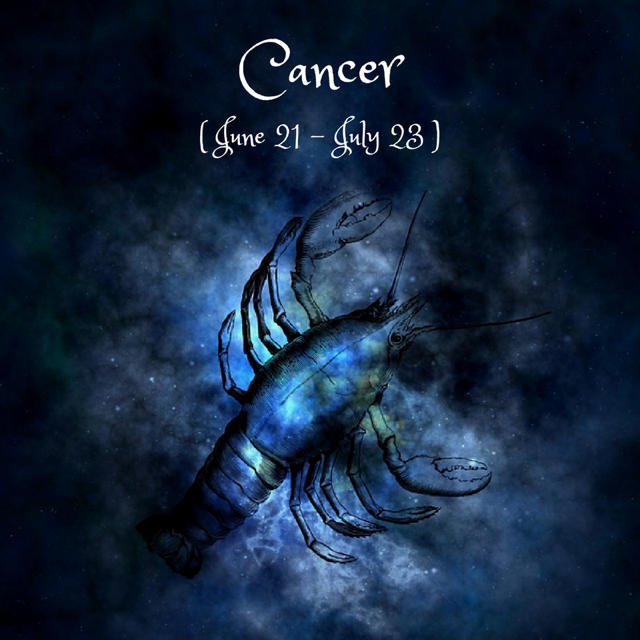 Dear Cancer, on the 6th, Saturn goes direct in your house of relationships and partnerships, the house of “the other” - you’re finally more free to move forward after months of delays, blockages or tests. It hasn’t been easy, but Saturn has been cleaning house to help you get a better sense of what you need from a relationship. He will continue to do so until his ingress into Aquarius in 2020, so stay buckled up! The Virgo New Moon on the 9th is a powerful moment that supports your mental body, your ability to learn and to communicate, inviting you to set new intentions of practicality, depth and dedication in your studies, your hobbies and your efforts towards self-growth. A difficult relationship can help you better connect to yourself. On the 11th, the Sun’s trine with Pluto and sextile with Jupiter can bring some good news on the social or romantic front. On the 15th and 16th, Mercury repeats the same aspects with Pluto and Jupiter. Now is the time to talk openly about serious matters. You can get to the heart of the matter while also keeping it light. With the Mars-Uranus square, the 18th repeats tensions from the beginning of August regarding shared finances, intimacy, deep fears and vulnerabilities. This time, issues might feel lighter and you may find it easier to express yourself assertively. On the 21st, Mercury enters your 4th house, followed by the Sun on the 22nd. Family and emotional security come into focus, with possible tensions around emotion/intellect or receptivity/taking action. Now is the time to invest in your home, your family and your inner life, remembering to balance your own needs with those of loved ones. Finally, the Aries Full Moon on the 25th illuminates your house of career and public image. How have the career initiatives and efforts that you’ve been making since April been impacting you? Work versus personal life is a theme for you at this time, possibly putting a strain on your relationship as well. Remember your power to be vulnerable, authentic and committed to what you truly value.